It is very painful to buy Artifacts blasters at a retail store like Target. I NEVER have a good feeling when I plop down twenty bones for one of these boxes because I know I'm not going to get anywhere near that value when I open it. Getting these for half the stated price is a bit more reasonable. It's sad that a hobby pack at about that price still beats an entire blaster by far, but that's just how it is! This is a blaster that I got online. In my introduction I compared getting a blaster to that of a hobby pack. Artifact hobby packs go for about $10. This blaster was also about $10. So why does a hobby pack beat this by far? 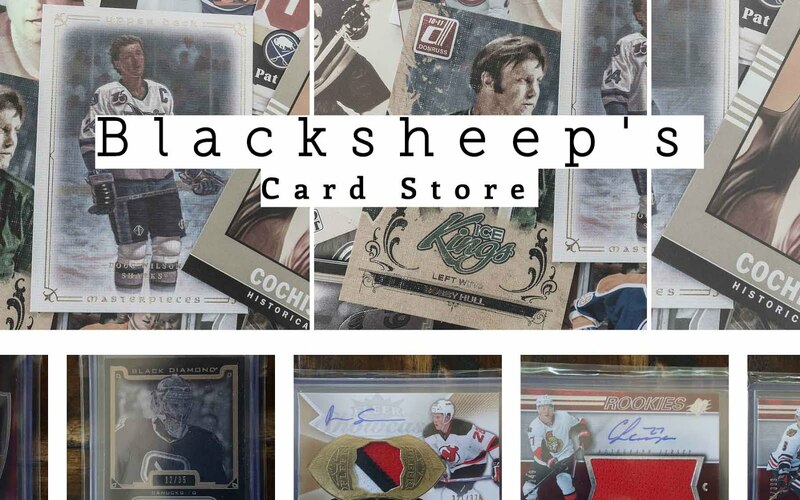 Well, hobby boxes have ten packs per... and within you will find an autographed card, many numbered cards, a rookie redemption, and a number of memorabilia cards. So buying one pack of hobby gives you a good chance at any of those glorious hits. On the retail side, one box may get you a single jersey card (but it's pretty rare). Most likely you'll pull a numbered card out of the blaster... and that'll be it. There is almost no shot at any other sort of hit. So while the two products can be had for about the same price... there is absolutely no way that getting a blaster is the better choice... unless of course you want to load up on base cards. Then by all means go for the blaster. Opening up this blaster was pretty much exactly what I expected. There were a ton of base cards in the box and only a couple parallels of note. I was actually surprised that I even got two parallel cards in the box as usually there is only one. I think Artifacts is living too much in the past with its retail offering. These blasters feel like you are paying a premium for getting premium base cards. 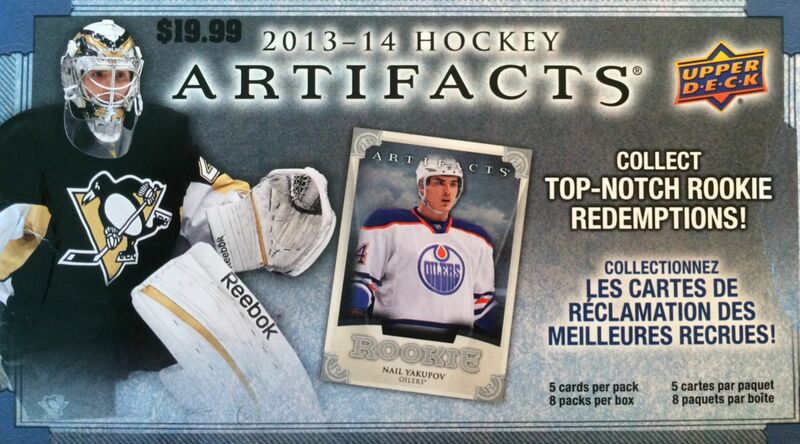 I mean, don't get me wrong, the base cards in Artifacts are very nice... but I definitely wouldn't pay more for them. Maybe in the distant past, higher-end base cards would warrant a higher price, but now people pay higher prices because of the availability of more hits. 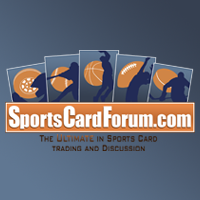 It's probably time for Upper Deck to rethink how they do Artifacts at the retail level. If it were up to me, I'd make it like an old cello pack. Just put one cello pack in the blaster and have it contain say 25 base cards, 1 numbered card, and one retail exclusive mem or auto. That would be a great formula in my opinion! 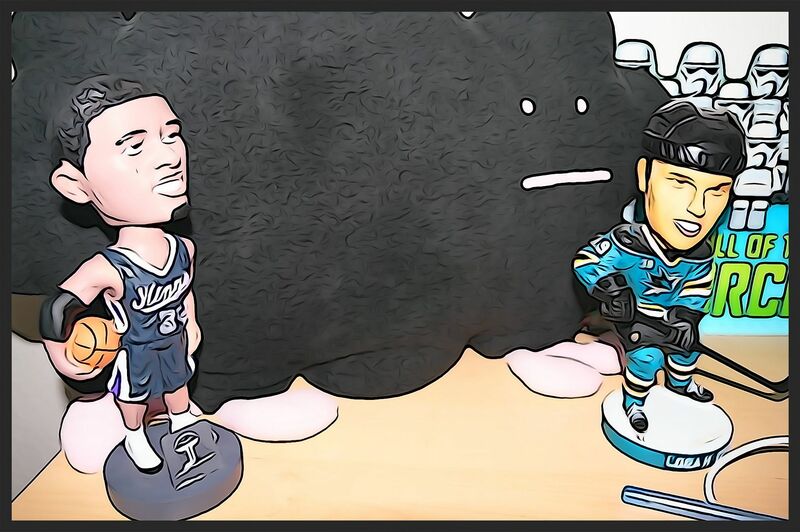 I pulled Ovi, Side the Kid, and other more popular players... so why does Harold Snepsts get third place this week? Well, because you just don't see cards of his very often. 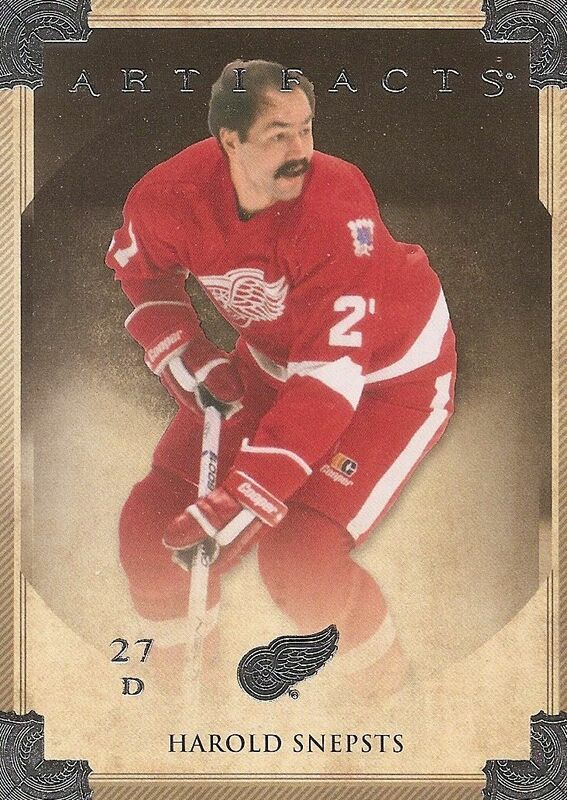 I had to do a double take when I pulled this card because Snepsts is just a guy that companies don't make cards of. Sure, you see a lot of retired players like Gretzky, Lemieux, and even players like Doug Wilson quite often. You don't see Harold Snepsts in too many sets though. Claude Lemieux definitely doesn't get as much attention as another player with the same last name, but he was definitely a great NHLer in his time. 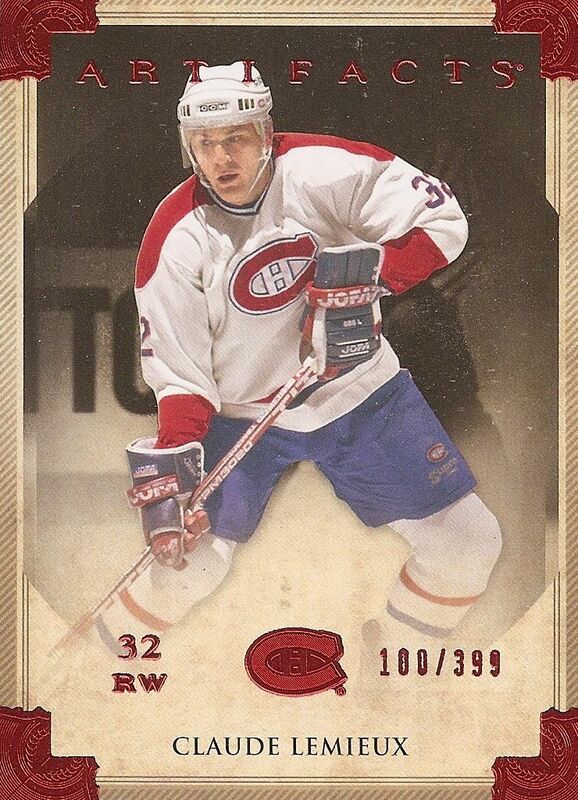 I like this card because the red foil matches up really well with the Canadiens' color scheme. Like the Lemieux above, this green parallel does a great job of matching up with Coyle's team colors too! It's cool to get a rookie card numbered to 99. Coyle is a very young player still, and has a chance for some good growth. I cannot say that Artifacts blasters give good value... they just don't! At $10 I will take a risk on some though. I am waiting for the day that I get something in one of these Artifacts blasters that actually exceeds the price I paid for it. Will it ever happen? It's unlikely. But I'm willing to give it a try on occasion. Do I recommend it for you? Nope! Just watch me open these up on Retail Review to satisfy your need to see what's inside Artifacts blasters. When it comes to Artifacts, the hobby version is the way to go. Very nice blaster considering it's Artifacts. 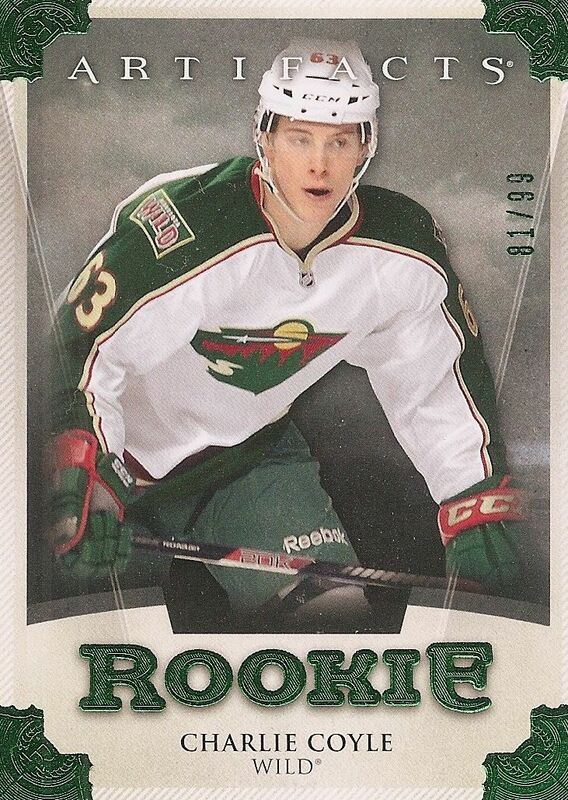 Coyle is a good rookie and it is numbered to 99 on top of that, well, that's great! Keep up the good work!